SHIELD Secret Revealed: Fitz has a Monkey! Fitz said he wanted a monkey, now he has one! Fitz can celebrate SHIELD's return with his very own virtual pet. 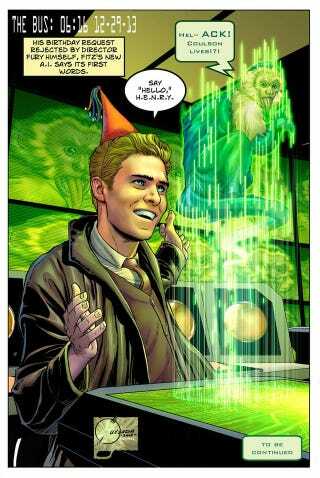 The above image is by Marvel editor-in-chief Joe Quesada, posted on Twitter for actor Iain De Caestecker's birthday. The show needs to make this canon. In other news, the SHIELD comic book is also, apparently, returning. Good news!